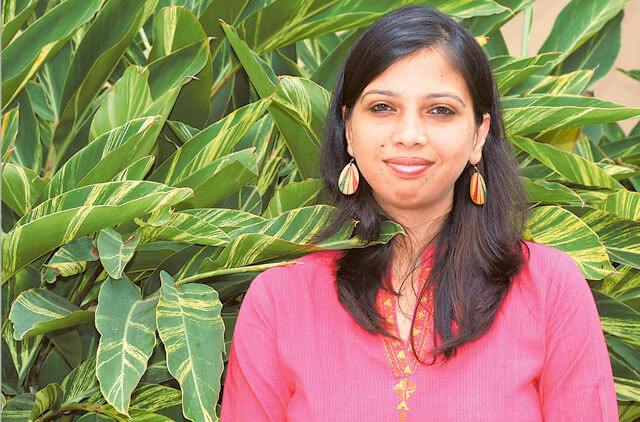 New Delhi: Bangalore-based Smita Ramakrishnan has been making a difference to women’s lives for the past five years. She founded the NGO Rang De that has been providing loans to the poor and needy women to start business ventures. Inspired by his establishment, by 2008, the couple had launched Rang De, an online micro-credit institution. But unlike other micro-credit outfits that take loans from the banks and in turn end up increasing the interest rates, Rang De raised money from ordinary individuals. This helped them keep the interest rates low and benefitted the poor in an enormous manner. “Rang De is not looking for a major return on investment and people who invest in it are generally doing it for a cause. The project has now grown into a movement that has impacted thousands of lives,” Smita said. Be it a tailor in Madhya Pradesh or a bird seller in West Bengal, Rang De is there for all. The NGO has disbursed about Rs100 million (Dh6.8 million) to more than 25,000 women across 15 states and its canvas is getting bigger. GULF NEWS: How and when did you begin working for non-profits and social initiatives in India and the UK? Smita Ramakrishnan: I completed my Master’s degree in social work in 2002 and have always believed in the professional values of social work due to my education in this sphere. I worked for a few non-profits in India until 2004 and went on to work in a similar space with the government in the UK. I started with volunteering opportunities with Oxfam and then worked with the directorate of children, young people and families. Subsequently, I moved on to the community learning department and had the opportunity to work on some exciting projects, including learning communities. How did your husband get associated with Rang De? Ram is, in fact, the other co-founder of Rang De. He comes from a software consulting background and had been a part of several Corporate Social Responsibility initiatives and also volunteered for NGOs in Bangalore. The intent to get into the social space was there in him right from his days as a student. He had the distinction of organising the most successful fundraiser in an otherwise hostile environment at the college that was known for its politics and discrimination. How do you ensure that your borrowers pay interest rates that are fair and your social investors are able to make a meaningful difference to people’s lives’? Rang De was started with a mission to use the internet and the good will of the people to provide affordable credit to the poor. Just before starting Rang De, we chanced upon an article that was published in 2004 that spoke about borrowers having committed suicide because of the high interest rates charged by Monetary Financial Institutions. We felt that if indeed microcredit is a powerful tool to alleviate poverty, it has to be provided at a cost that is affordable to the poor. It was with this thought that Rang De started and is now the mission statement of the organisation. We rely on the social capital provided by individuals and ensure that this reaches our borrowers at low costs. In micro-financing, do the investors make investments only for a social cause or also for returns? Are there people who do not look for any returns? In case of Rang De social investments, the investors get a nominal return of two per cent per annum. The interest is calculated from the day the loan is disbursed to the borrower. This typically is around a month’s time from the date of investment. The return is nominal as the focus has always been on social returns. Many of our social investors donate that back to Rang De. Are you working with other NGOs who go through the screening process of borrowers? Yes, we work with NGOs who go through our stringent due diligence before they become our field partners. We do not lend to individuals or groups directly. The field partners identify borrowers from communities they work with. The field partners are credible grassroots level organisations and are responsible for identification of borrowers, disbursement of loans and collection of payments. What are the fields for which you disburse loans? Loans are disbursed all over the country and the categories include animal husbandry, apparels, agro-based businesses, dairy farming, eateries, handicrafts and repair services. How about education loans for the poor? We provide education loans also and these are at five per cent flat for primary and secondary education and vocational education. Is there any case close to your heart where Rang De changed the life of a woman and her family? A simple, yet sharp 30-year-old woman Saraswati from a remote village in Ranchi, Bihar is a model case. The only educated woman in the village, she was sanctioned a loan amount of Rs8,000 from Rang De. She became an entrepreneur and her venture, Village Level Service Centre, which caters to the daily domestic needs of people, has become a success story for others to follow. How many investors, Indian and foreign, have contributed towards helping the needy? Till date 4,800 people have contributed to making a difference to the lives of the needy and helped in raising their standard of living. Did you ever think along the lines of having celebrities endorse Rang De and become brand ambassadors? No, it was never an intention. But when Bollywood actress Waheeda Rehman heard about us and showed the desire to become a part of Rang de, we were delighted. She had a first-hand experience and was very happy with the results and is now a part of the family. Similarly, filmmaker Nagesh Kukunoor came along and has been very happy with our initiatives. The reason for supporting Rang De, he says, is that microcredit needs to be affordable if it needs to help people get out of poverty. He believes that we are the beginning of this change. • Smita Ramakrishnan was born and brought up in Chennai. • She has a Master’s degree in social work. • Completed a certificate programme for Women Entrepreneurs from the Indian School of Business, Andhra Pradesh. • She is responsible for fundraising and strengthening Rang De’s impact on the communities.